The Polish Lotto takes place every Tuesday, Thursday and Saturday at 20:40 (GMT) with single line bets costing a mere 75p. 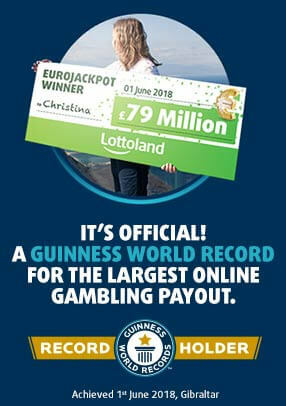 Not bad considering jackpots have reached as high as £9 million in the past! Players pick six numbers from 1 to 49. If you match all six of the drawn numbers, you will win the jackpot prize. Use the QuickPick option to get random numbers. For just 20p extra, you can also bet on Polish Lotto +, which is an extra draw with a guaranteed £200k jackpot.